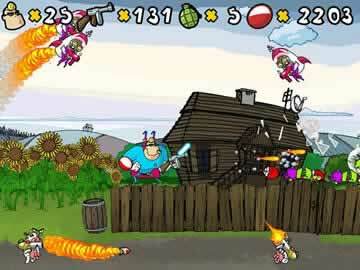 Captain Binary Game - Download and Play Free Version! 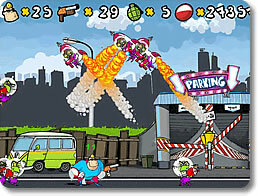 Save the world from evil aliens, with your bare hands or with your super artillery! 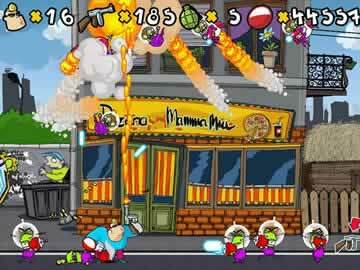 Captain Binary has to fight through three different levels full of enemies that are well equipped with lasers, machine guns, flying saucers, tanks and more. At the end of each level our here will have to fight a dangerous boss battle! But Captain Binary doesn't have to fight with bare hands. He always carries his superhero pistol with unlimited ammo. During fights he also can pick special equipment like the machine gun, RPG or laser. He is also well trained in hand to hand combat. Get ready for the ultimate superhero!